Chris Evans plays superhero Captain America, a man tasked with regularly saving the world from danger. In real life, his heroics were recently extended to saving a shelter pup. Evans was filming a scene for his new movie “Gifted” and one scene took place inside an animal shelter. 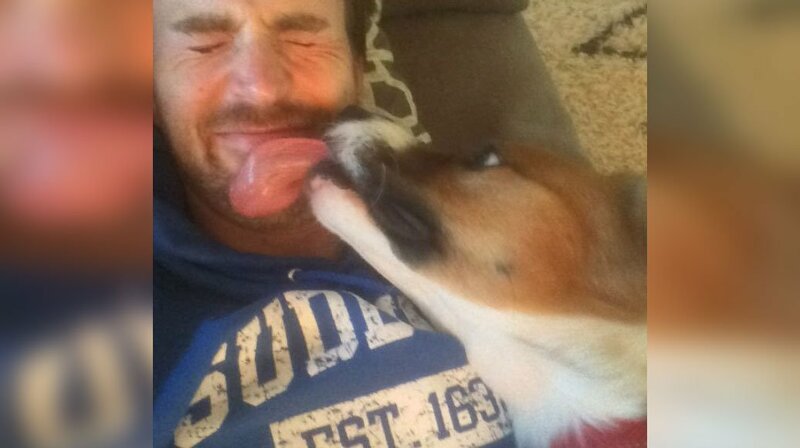 Last month Evans posted a tweet with an adorable rescue dog licking his face. Weeks later, the story behind that photo was released. While filming his movie Evans couldn’t help but ask the staff about the dogs. When Evans discovered the dogs were really looking for a forever home, he perked up. The dog is now named Dodger and he travels everywhere with the actor. In an interview with PEOPLE, Chris admits that his new four-legged friend helps get him into shape. When asked during an interview what was most important in his life Chris gave an answer that will leave you swooning. Chris Evans is the best. Share this post if you agree.